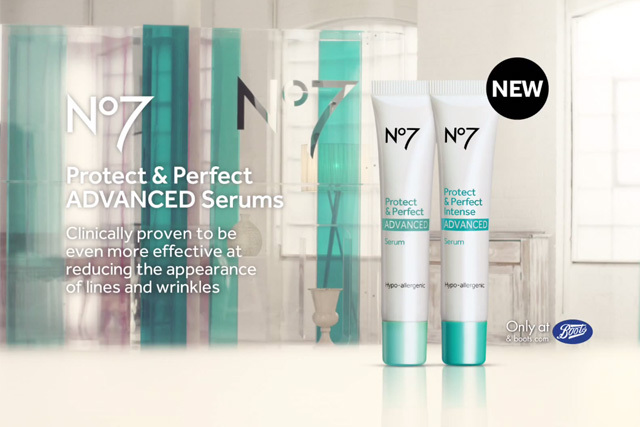 As the new campaign for the Boots No7 Protect and Perfect Advanced serum gets underway, Elizabeth Fagan marketing director, health and beauty international and brands, at Boots says that "innovation is in the DNA" of the organisation. In a move reminiscent of Dove’s ‘Campaign for real beauty’, Boots’ campaign uses eight real women and removes all mirrors from their lives for a full month, in order to demonstrate visible changes to their skin. The new beauty serum itself had been in development for a few years, but when Fagan and her team saw the results coming through from the clinical and user tests, they knew they had "a product that really merited being showcased". However, making people take mirrors out of their lives for an entire month isn’t easy. Boots had to provide chaperones to help the women , either by putting on their make-up or just making sure they wouldn’t get too tempted to sneak a look in a mirror while out and about. For Fagan, the extra work that went into looking after the women in the ad more than paid off: "The reason we could do it is because we knew the clinical results could speak for themselves, and we wanted to share how this product makes them feel. We were surprised by the impact it had on them". Surprise is an emotion Boots is familiar with when it comes to the No7 serum, after people queued up outside stores in 2007 to buy the highly sought-after product, when Horizon declared the cream a real winner in the anti-ageing market. Fagin made sure Boots did not run out of the serum this time: "We don’t want to disappoint women and have worked really hard to step up our manufacturing to cope with demand and make sure we stay in stock." But for many, age is simply a concept, and the No7 brand does not show its 78 years. Boots manages to keep the brand timeless by "being absolutely in tune with customers’ lives and what is important to them, by giving them breakthrough products and delivering it in a way that is confident and inspirational". "Innovation is the DNA of Boots as an organisation," Fagan says.